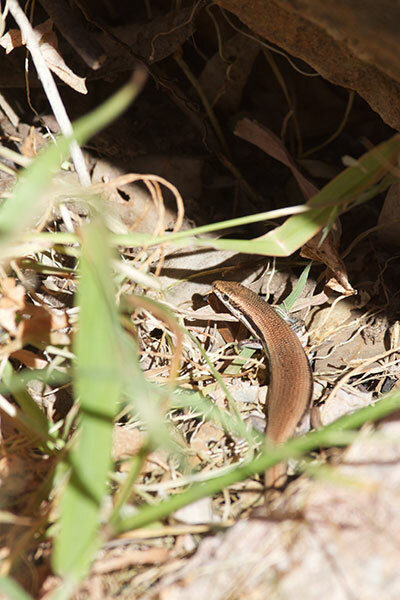 This fairly generic little brown skink was tricky to photograph, because though it did not move quickly or far, it did move constantly. I gave up on getting a better photo than this after ten minutes, because I was looking for bigger game. 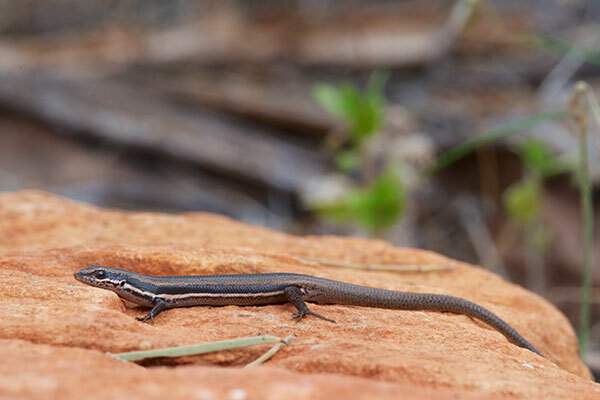 These skinks remind me of the official Little Brown Skink of North America. 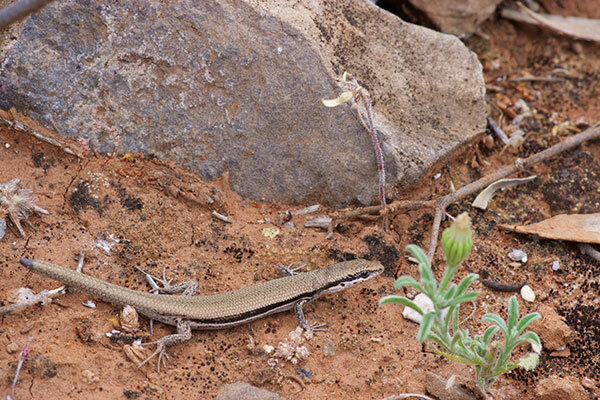 This skink seemed like a species other than M. boulengeri when I saw it on a rocky hillside. For one thing, it was motionless in plain sight for several minutes, and I never saw another M. boulengeri be still for that long. For another thing, it was up on a rock rather than scuttling around on the ground as all the others I saw were. Finally, it was a much darker shade of brown than the others. But the size, shape, and pattern were all good matches, and after consulting Cogger and Wilson and Swan, I couldn't find any other potential candidate species. So I'm calling it M. boulengeri, but please send me email if you know better. 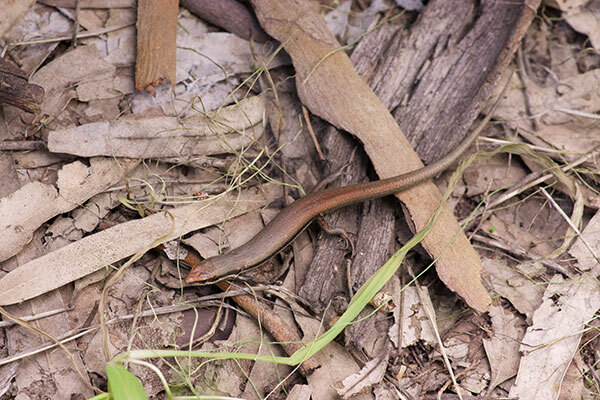 I saw a bunch of these skinks, though only got decent photos of a few of them. I'll throw in one more here, from the early part of a hike that ended in spectacular lizard beauty.